We just got back from our vacation in Myrtle Beach. The weather was perfect with almost every day in the low 80's. The above picture was taken from our balcony at the Sands Beach Club room 128.A great early morning view of the ocean and sun does something to recharge your batteries. 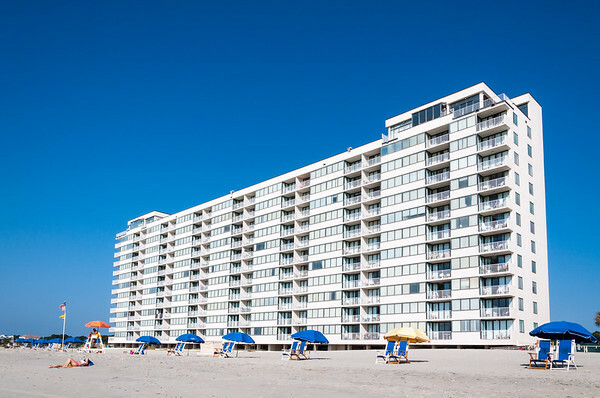 The Sands Beach Club is near Barefoot Landing, Tanger Outlets, Myrtle Beach Mall and the Alabama Theatre. 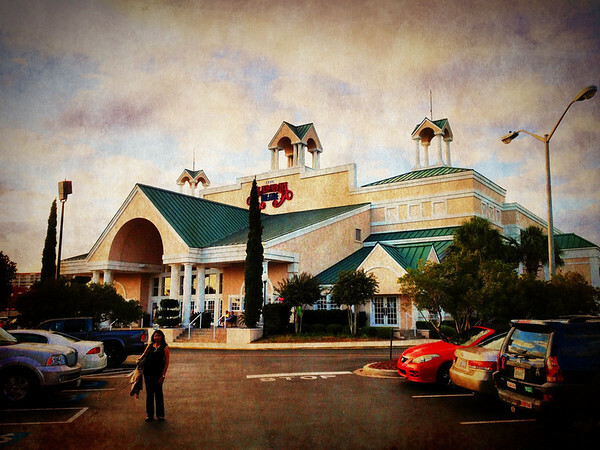 We visited all 4 attractions/shopping venues and enjoyed just getting away from home for a week. The Alabama Theatre show "One" was very enjoyable with great talent entertaining you for the evening. 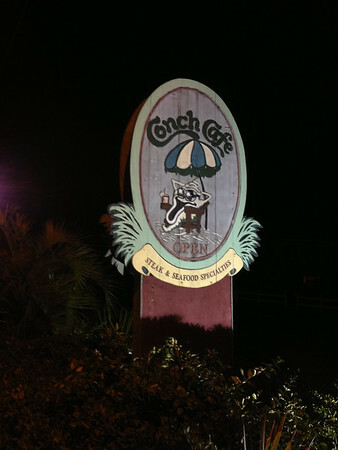 We had a late dinner at the Conch Cafe situated on the beach. What a great view and meal. 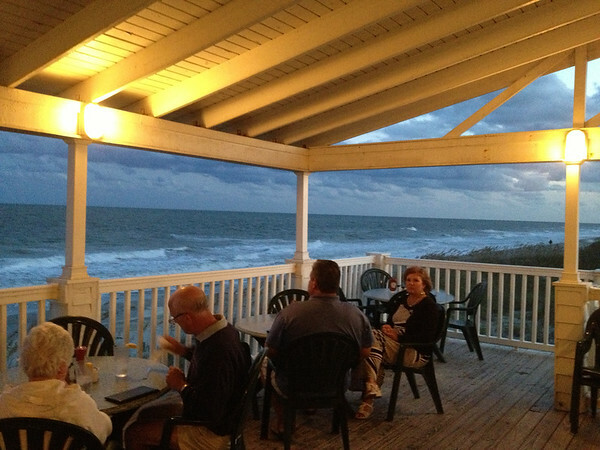 It was a bit breezy that evening but not enough to keep us from enjoying the deck and the view. We also had lunch on Friday at Bombay At The Beach. Pretty good Indian food buffet, check it out if you want to try something different or enjoy Indian food. It was shag dance week at Myrtle and we met a few people from North Carolina who came down to get together, dance and party. A great time was had by all! 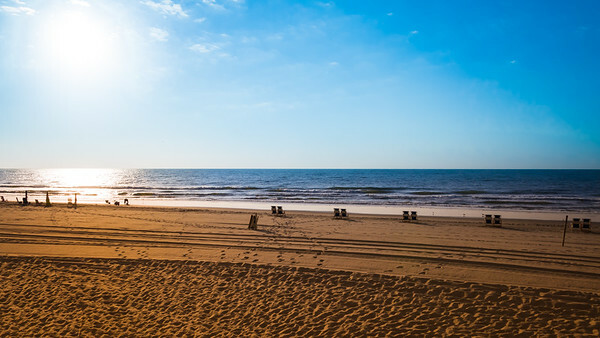 The northern part of Myrtle Beach is quiet and more residential than commercial. We like it that way. Plus there was a big sale at Stein Mart.